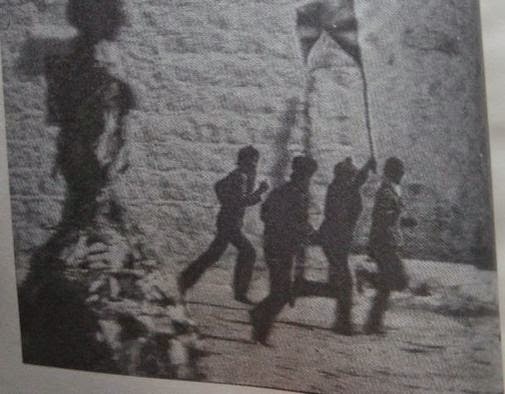 On March 5, 1989, large scale of protests broke out in the city of Lhasa, the capital of Tibet. Hundreds of monks, nuns, and youth marched on the street with the forbidden Tibetan flags. Looting and arson also occurred amid the protests. Tibet had not been quiet in the late 1980s and saw several occurrences of riot and other incidents between police and people. In the early 1989, the 10th Panchen Lama Choekyi Gyaltsen was finally allowed to visit his home state Tibet after being confined in Beijing for decades. But he passed away suddenly soon after arriving Tibet. His death led to suspicions of conspiracy and heightened the tension.